Can you believe we are in MARCH already! Wow! 3 months into the new year and 6 months into our new home! 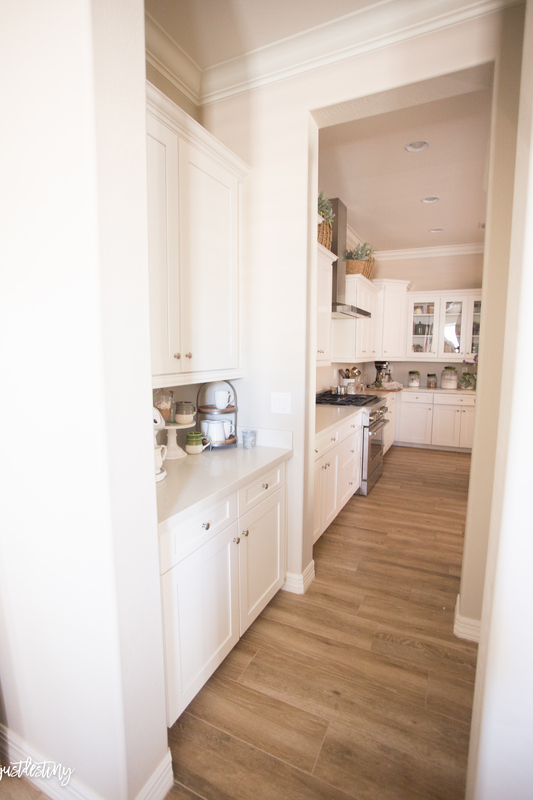 Today with the help of our builder AV Homes I’ll be giving your an unstaged tour of our home! 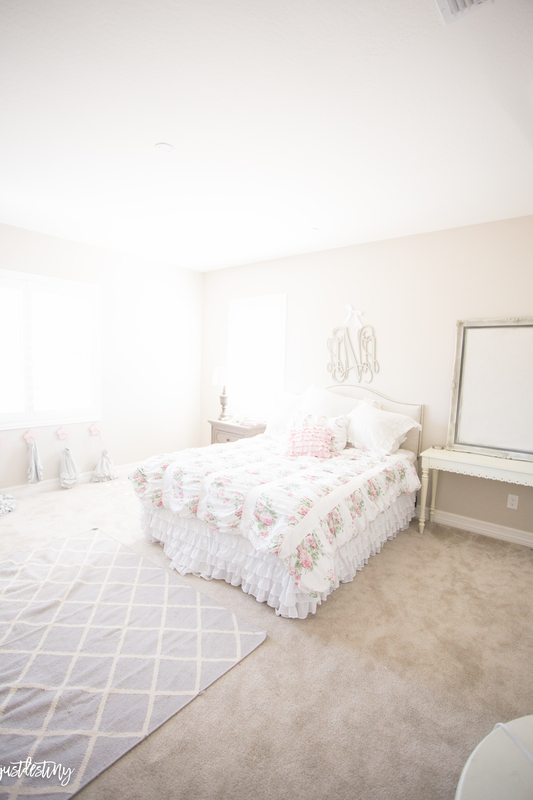 Rooms aren’t decorated completely but I wanted you to see the layout a bit more and give you some ideas on what we are thinking as far as decor and what not! So here is our “unstaged” tour! 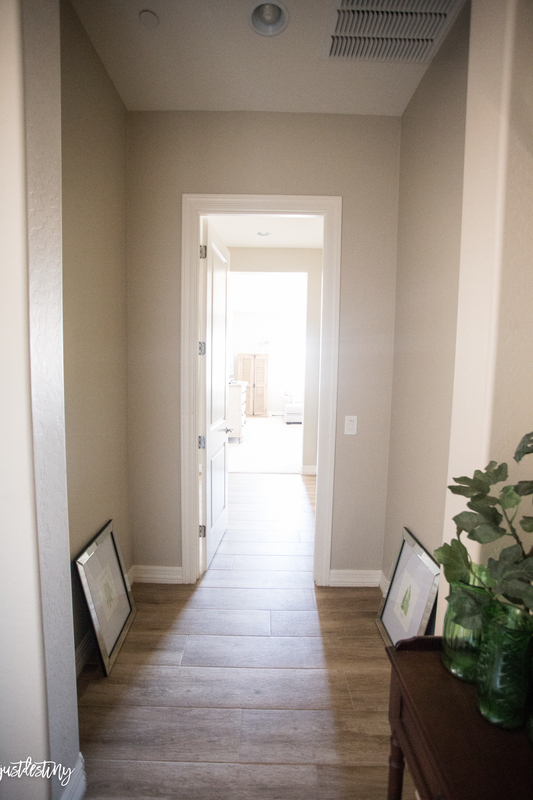 When you first walk in you see a beautiful entryway that opens up directly into our family room! This area definitely needs some trim work in my opinion! It will be big project we hope to tackle in the next year or so! The family room! I just ordered some wallpaper samples for the wall with the TV on it. 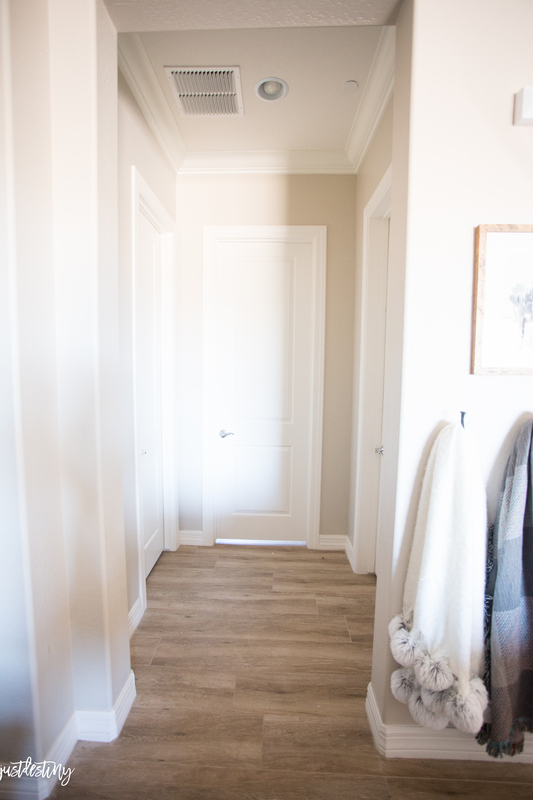 I love the idea of shiplap on this wall but I don’t love the idea of ripping out my new baseboards. 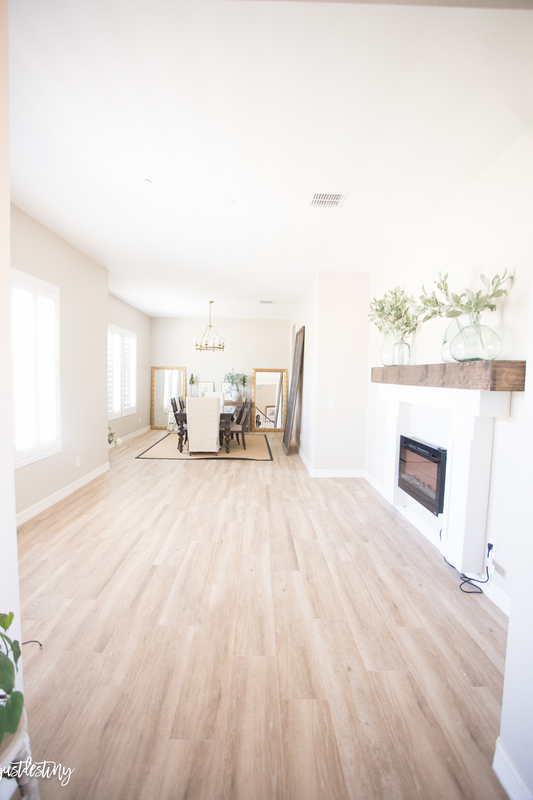 Our AV Homes home came with some pretty baseboards and I plan on leaving them that way. So to add some texture and interest I decided that wallpaper was a great solution! I can’t wait to show you more! Off to the left of the entry you see our formal living and dining. We knocked down a wall to open it up a bit more and to hopefully put an extened dining table to accommodate large parties! But for everyday use, it will be our living and dining room. I have a feeling it might become one of my favorite spots once my vision comes to life! You can also see the fireplace I’m working on! 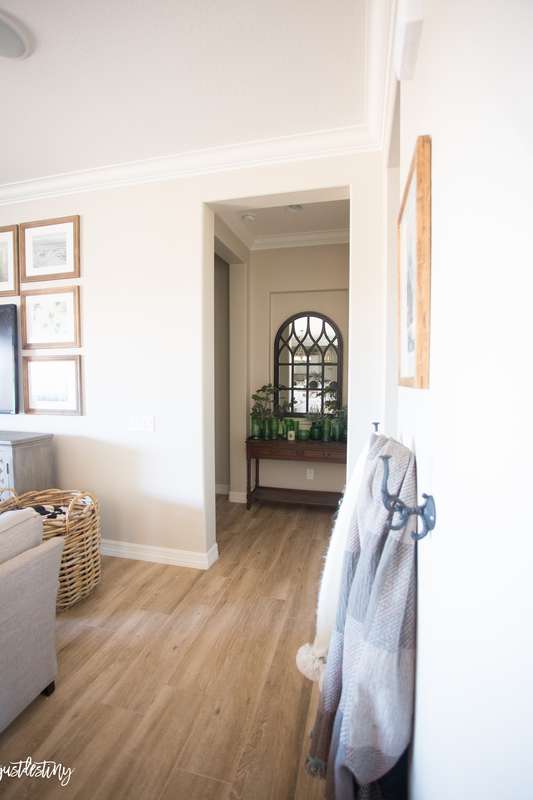 When you walk further into the family room, you see our open kitchen with a breakfast nook, to the left. We still haven’t installed our backsplash but we have purchased it! Just needs to get installed:0) My plan here is to add a wood top to the middle island and also a wood or rustic hood. I also think beams in the kitchen will give it a perfect rustic look! Off the kitchen we have a small office for Reggie. We call it the closet, haha but he loves getting work done in here! 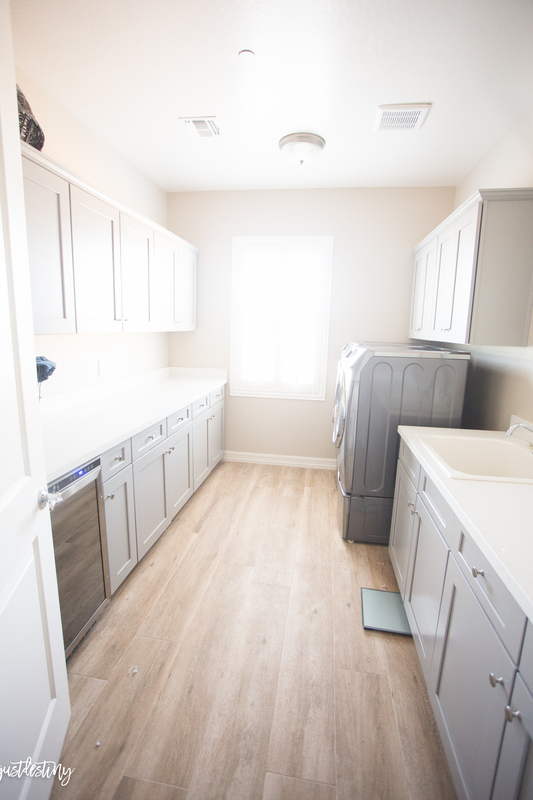 Our builder offered cabinets built into this little nook and we jumped at the chance to add more storage! Otherwise, it was just an empty space. YES to more storage please! 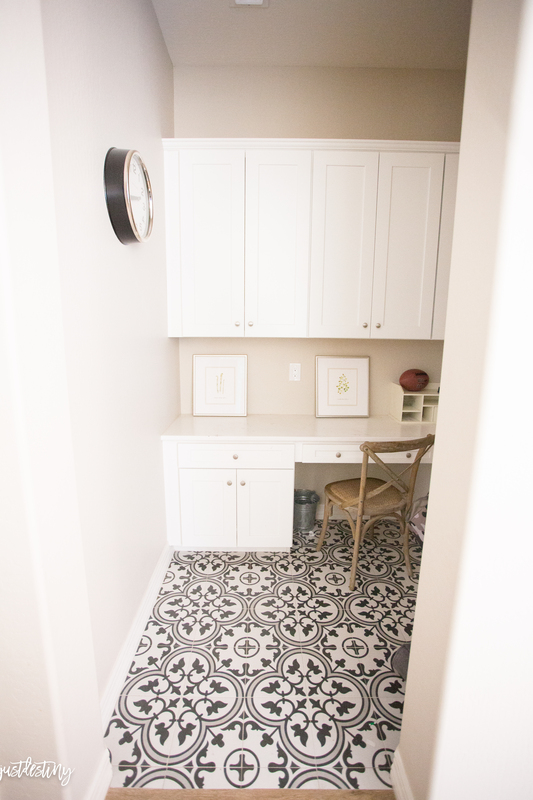 We also upgraded the flooring to this amazing black and white cement tile! Love the look it gives to this small room. On the other side of that is the soon to be laundry room/mudroom. Nothing is done in here yet but I want a small washer and dryer that stacks, a sink and of course some built ins! We did upgrade the flooring in here and that same type of brick floor will be used on our backsplash in the kitchen. On the opposite side of this door is the pantry. Walk in sized and fully stocked……. with junk at the moment :0) So those doors stay shut. Anyone want to help me organize this? I would love to redo it completely and put some pretty shelves in there! 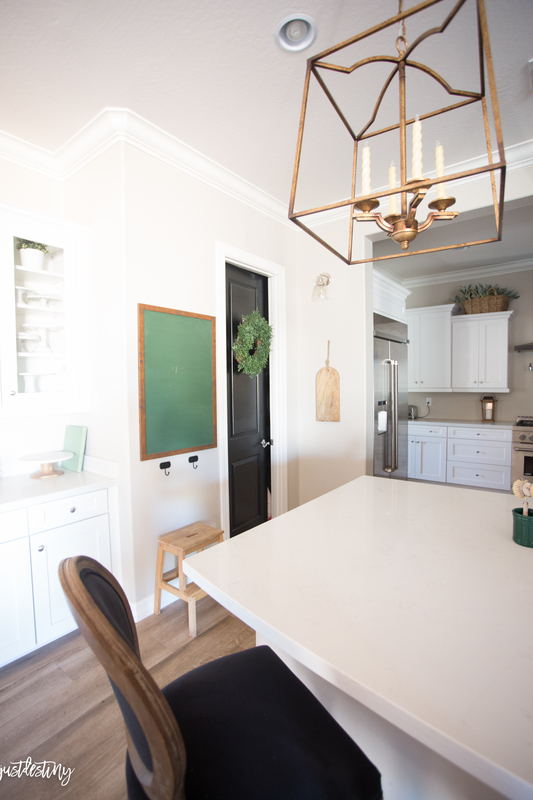 Around the corner is my coffee station that opens up to the dining room and back around to the living room. 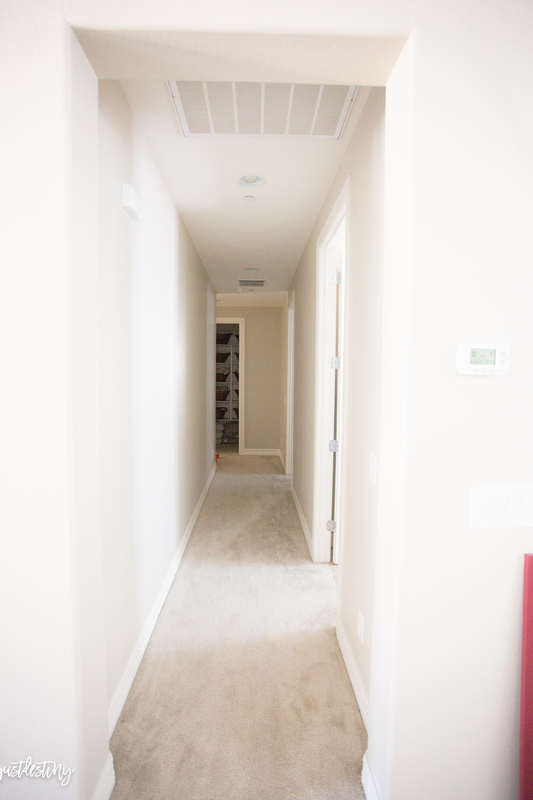 If you walk across the family room you will find a hallway that leads to our master. I also think this little hallway would do good with some wallpaper. I love peeking into rooms from other rooms. Keep walking and you reach our private little suite on the right side of the house. 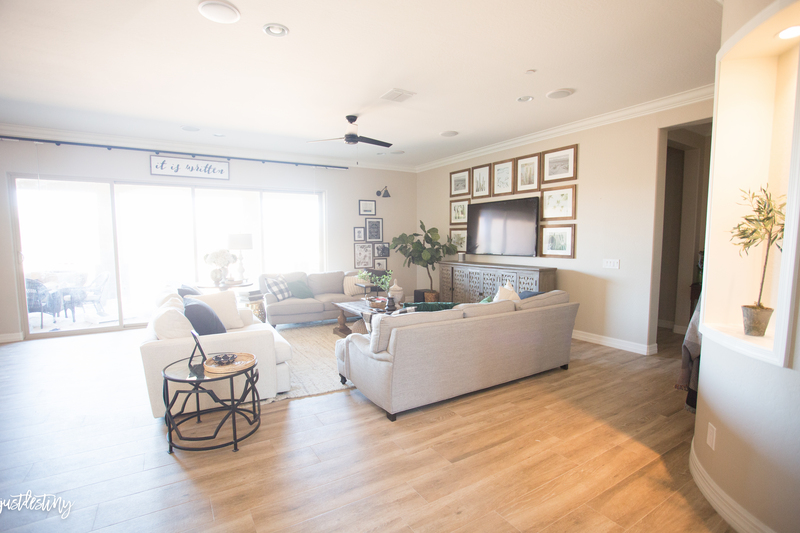 We love that AV Homes gave us our own AC unit so we can control just our room temperature! Great idea in my opinion! Another wallpapered area would be great here too! Plus a hanging lantern! I have a ton of plans for our bedroom. Wallpaper, french doors and beams just to name a few. But right now it’s a work in progress! Some asked us why we didn’t take the floor into our bedroom and my answer is I like carpet in the bedroom! It’s soft on the feet. Even though my allergies don’t really agree with me! haha ! 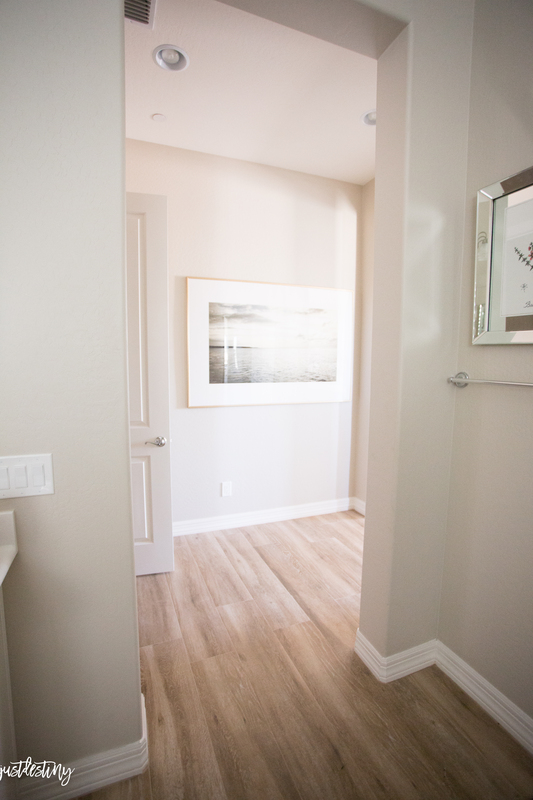 The other hallway next to the master has three doors that leads to my office, powder room and closet! But once again some rooms just aren’t ready for a photo so we will just leave it at that. haha! 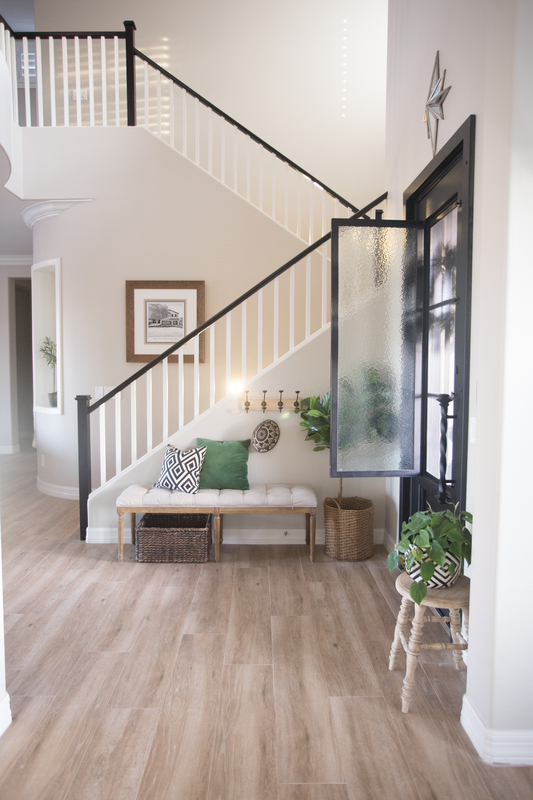 Up the stairs you will find and open loft that looks over the entryway. 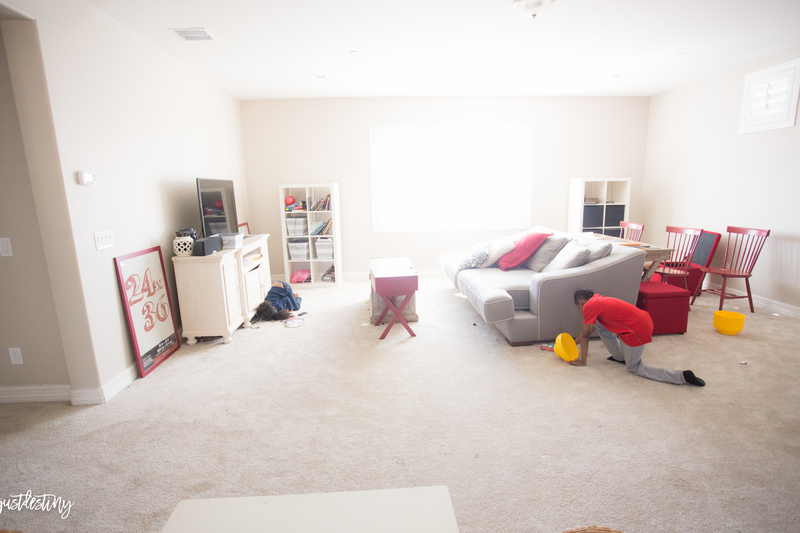 The loft area is mainly for the kids but I plan on making it special for them! Here they are cleaning it up just for this shot! hahaha! I feel like the kids live up here! Since our bedroom is downstairs I only really come up here to do laundry..haha! I have to remind myself to check on things. We already have a carpet stain because someone decided to paint on the floor. Oh boy! Down the long hall is a full sized laundry room. A room with great bones but just need some decor and paint! 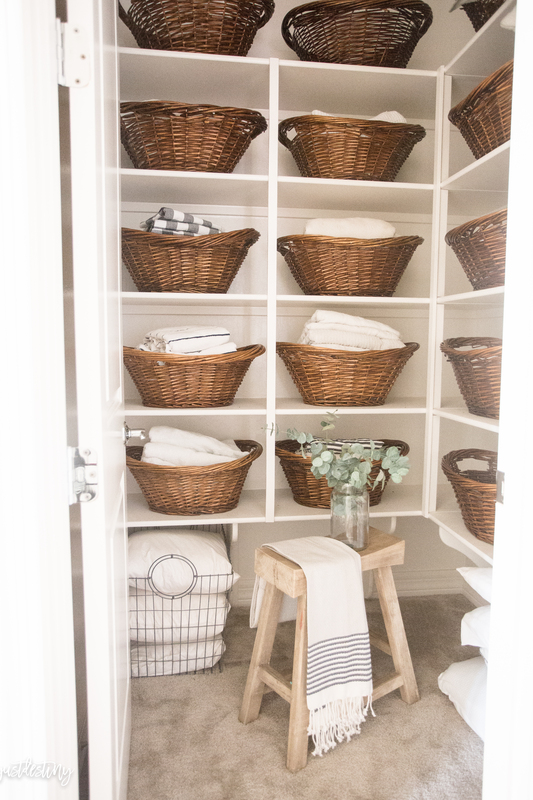 I also think a cute runner, a couple of light fixtures and baskets will make this a cozy place to fold clothes! I think I might need a stool too! The guest room is off to the right. I think one of the boys might move in here one day, but for now it’s great to have the extra room just for guests. I would love to see a little personal coffee area up here just them too! Of course a light fixture and some drapes will be nice. It will be fun to see it change over the years! Oh! 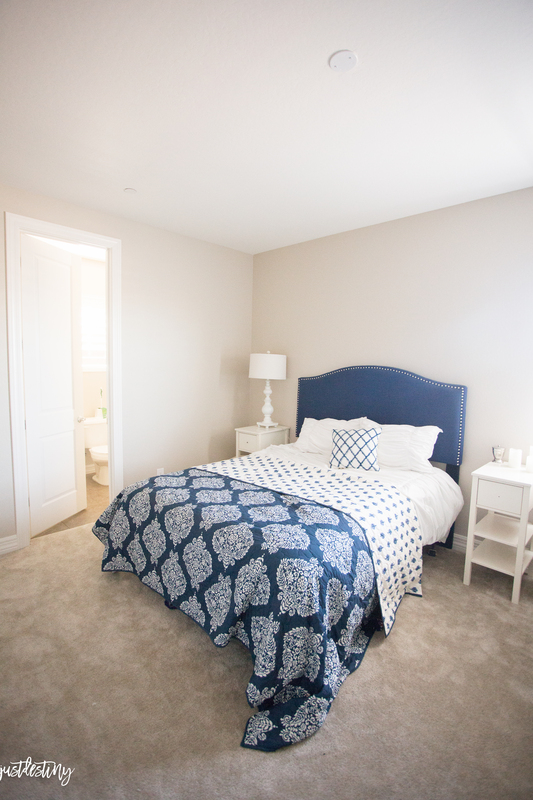 Each bedroom upstairs has a walk in closet and personal bathroom for privacy! I love it! Except when I need to clean them…haha! Walk out of the guest room and you see the linen closet…you guys remember this right? If you ever come over this room actually looks like this. It’s a miracle! haha! Make left and you find two bedrooms. This one is Livy girls room. I plan on getting her a beautiful chandelier, some soft drapes to filter the light and a new bed! We did get her a new dresser and nightstand that you will see later! I love the feel of Restoration Hardware bedrooms. I love quiet rooms with no particular theme. Just pretty. The other room is for the boys! I really want to make this a magical place for them too! I see some blues and greens with some rustic and modern accents. I’m also thinking about doing a big mural behind the beds! I love that they still want to share a room even though we have the extra space. So sweet! One more room that is in the process of being completed is our backyard! You will be so shocked when you see the transformation! 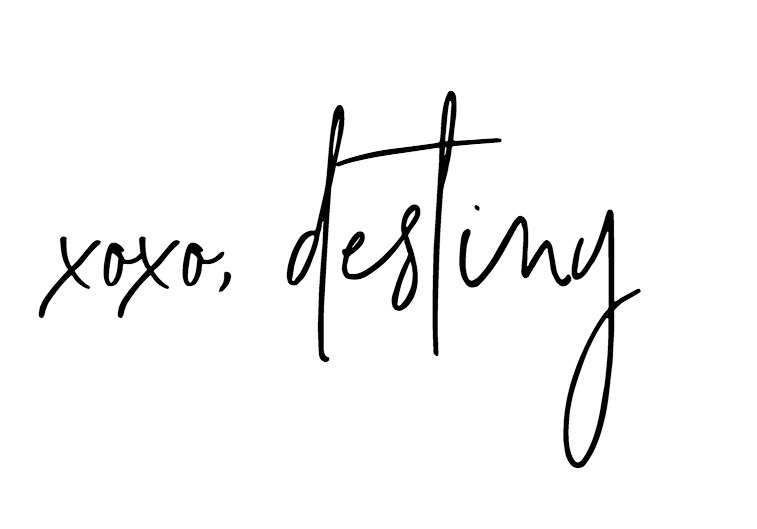 Make sure to follow me on Instagram to get some sneak peeks! Thank you AV Homes Inc for sponsoring today’s discussion! We had a great experience and 100% recommend them if your looking to build new! Your house is so beautiful. Perfect for your family! I love watching you turn it into your home! Can’t wait to see the back yard addition! Beautiful and that linen closet is AMAZING !!! Your home is gorgeous! Can’t wait to see all the little touches you add to it ! I’m toying with the idea of putting wallpaper on the wall behind the bed in the master. Love the color of your walls. 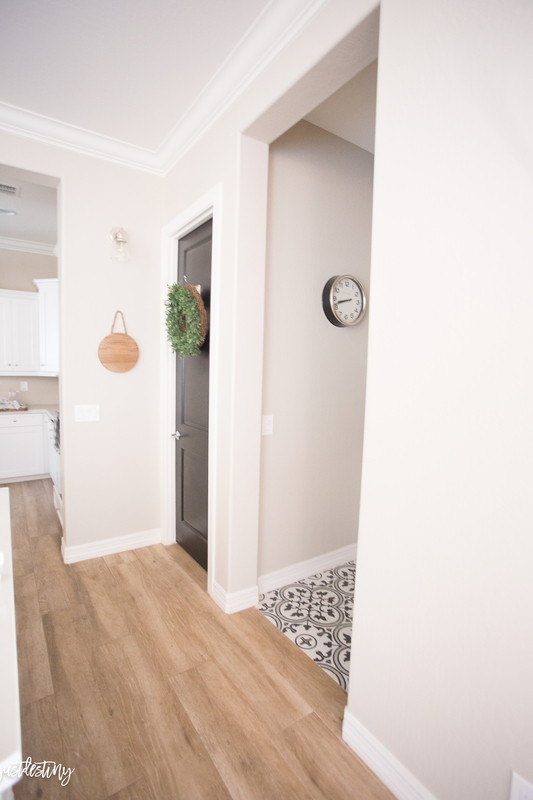 What color are your baseboards and ceiling? im getting ready to paint my walls the same color you have. Hope it looks as good as yours! Can you tell us Manufacture of front door? Love it! Hi! It’s from a local company…First Impressions Ironworks in Arizona! 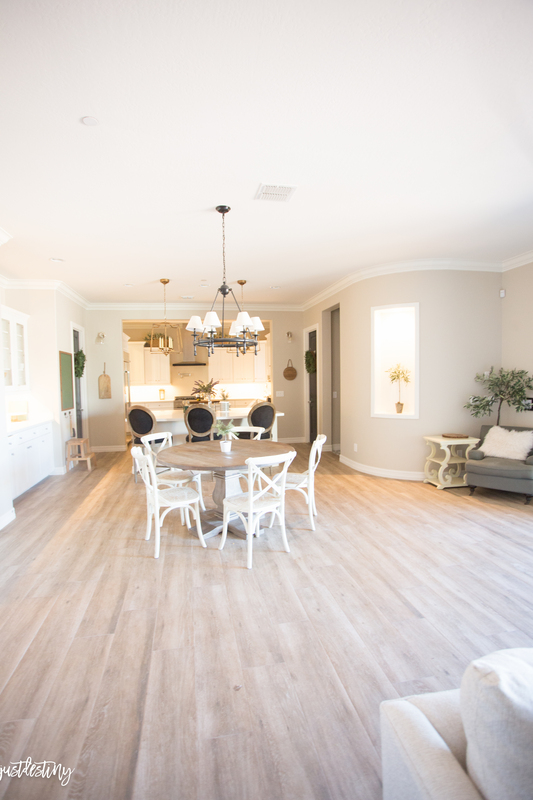 Tell me about the floors? Pretty!